Today is Crazy Ingredient Challenge Day! CIC is the headed up by Dawn at Spatula’s On Parade - this is one group of talented chefs who come up with these recipes each month, made with, well, crazy ingredients! Pumpkin and bacon are the ingredients for this month. I think these are fantastic ingredients - both alone and together. Both work wonderfully in either sweet or savory dishes, leaving the field of potential recipe ideas wide open. I thought about soup, or pie... maybe truffles. With so many options, I had a hard time deciding. Then it came to me - when we were travelling over the summer, we spent a weekend in a fantastic bed and breakfast. 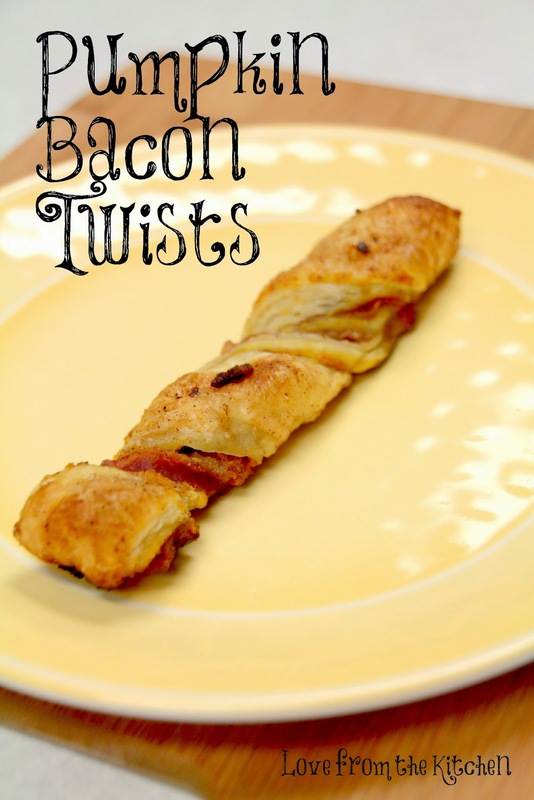 The proprietor made puff pastry bacon twists that were amazing. I thought that adding a pumpkin filling would make them even better. And you know what? Pumpkin did make them even better! 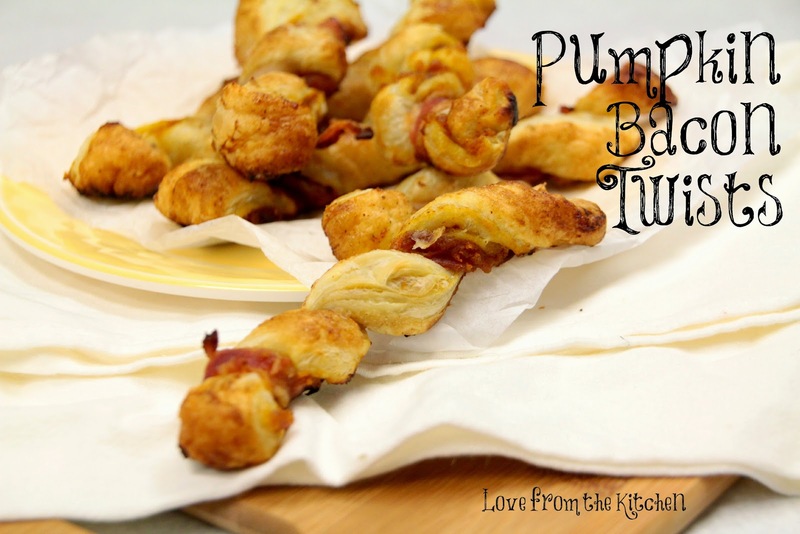 These Pumpkin Bacon Twists are the perfect balance of sweet and savory, with a silky rich and spiced filling and just a bit of heat. Parchment paper keeps the pastry from sticking to the baking sheet and also makes for easier cleanup. If you don't have parchment paper, you can spray the baking sheet with cooking spray instead. However, cooking spray may cause the bottoms of the pastries to brown more quickly, so watch the pastries carefully! These would be great for a brunch party. To make ahead, cover and freeze the unbaked pastries on the baking sheets until firm. Remove the pastries from the baking sheets and store in a gallon-size resealable plastic bag in the freezer for up to 1 month. To bake, place the pastries onto baking sheets and bake as directed above. 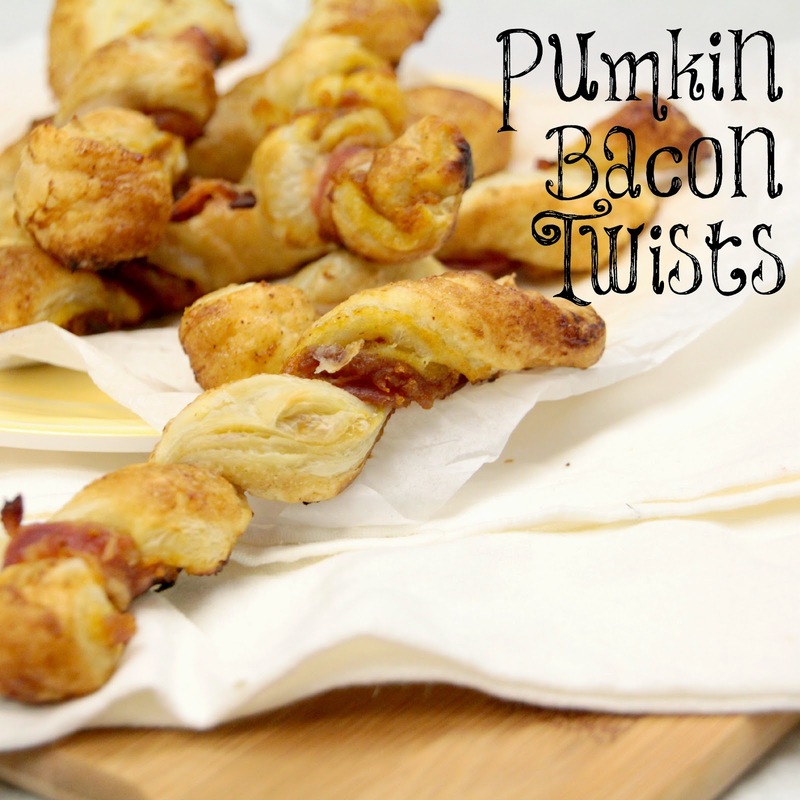 Before you get to the recipe, be sure to check out my fellow chefs' pumpkin and bacon recipes! Combine the brown sugar, pumpkin pie spice and cayenne pepper in a small bowl. Sprinkle two tablespoons of the brown sugar mixture onto your work surface. Unfold the pastry sheet on the work surface. Add the pumpkin puree to the remaining brown sugar mixture and stir to combine. Roll the pastry sheet into a 14x10-inch rectangle. Spread the pumkin mixture onto the pastry. Fold the pastry sheet in half lengthwise. Cut crosswise into 18 strips. Cut the bacon slices in half lengthwise, then crosswise, making 20 (about 5x1/2-inch) strips. Place 1 bacon strip on each pastry strip. Twist the pastry and bacon together and place on the baking sheets, pressing down the ends. 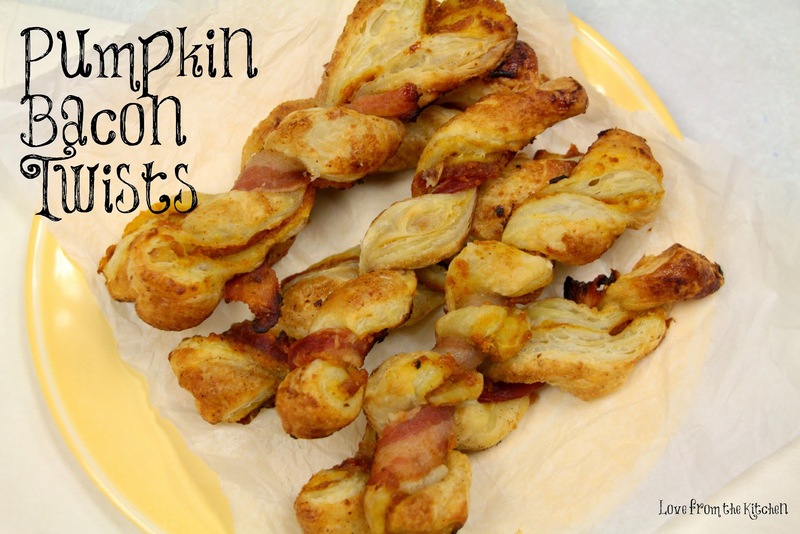 These look great, I love how you chose to combine the pumpkin & bacon! I'm drooling thinking about this!